Duets from our own lovebirds, Robert and Suzanne. 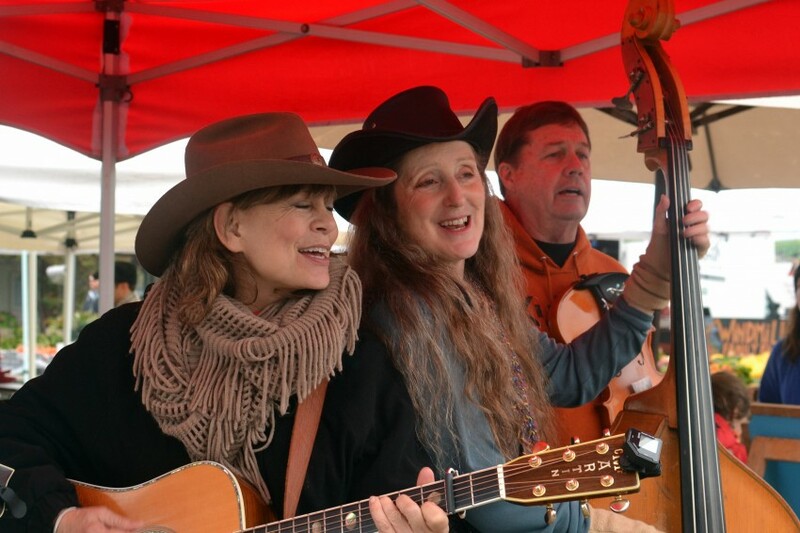 Lori, the Montana Songbird, with trio harmonies. Share your vision for your event with us and we will make it happen. Our eclectic mix of award winning entertainers connects with an audience and has fun. 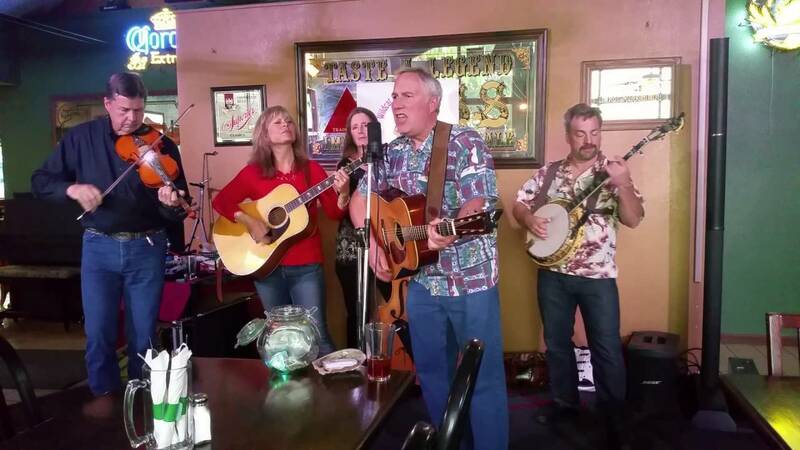 Bluegrass is our passion and we thrive on performing and sharing this beautiful and uniquely American music but also play Oldtime, Country, Western, Newgrass, Rock, Blues, Swing, and Folk tunes. With six vocalists, we offer you a rich variety of voicings from solos to four part harmonies and equally varied instrumentation including banjo, guitar, mandolin, bass or even twin fiddles. We welcome your guests to sing or play with us on stage. We also can teach them to waltz, swing, buck dance or square dance! The Wildcat Mountain Ramblers were amazing. Not only were the super entertaining, they brought extra instruments for people to join in and even offered to play along with folks karaoke style. Our party was extra special because of them. Would definitely hire again. Robert and his partner are accomplished musicians, wonderful entertainers and were a delight to all ages in the audience. They were the perfect duo for our party of 2 to 70 year old's. The weather forced us inside, and not even the large tent we'd arranged worked, but they rolled with it and managed to pull off a great show in a tiny, overcrowded living room. We love them to death, and will be forever thankful for making everything work! This is our second year hiring the Wildcat Mountain Ramblers, and just like last year, they did not disappoint! They are a super fun band, prompt, and flexible with the plan. They sang kids songs for us and did a fantastic rendition of happy birthday for the barn owner. I’d highly recommend them! We thoroughly enjoyed the wonderful sounds of The Wildcat Mountain Ramblers. They played a great line up of songs and has some talented folks from the audience participate in the action. We had a fabulous time! Thank you, Leilani! We thoroughly enjoyed ourselves and your hospitality. What a great venue you are creating! We are looking forward to coming back again! My parents loved the performance. Your parents are both wonderful people and I really enjoyed performing for them and chatting with them afterwards. Very party friendly for all ages ! Had the band out for an apartment community event to celebrate Mardi Gras. Everyone enjoyed and they kept the crowd engaged! Thank you. We had a great time with you and your residents. That is the nicest "apartment complex" I have ever seen. Everything was first class and it had a real community feel. We would love to come back for another party! Thank you, Charles. It was a beautiful moment, especially the way your wife looked at you and you both held hands. I feel lucky to have witnessed it. Please let me know if you want me to learn any other songs. 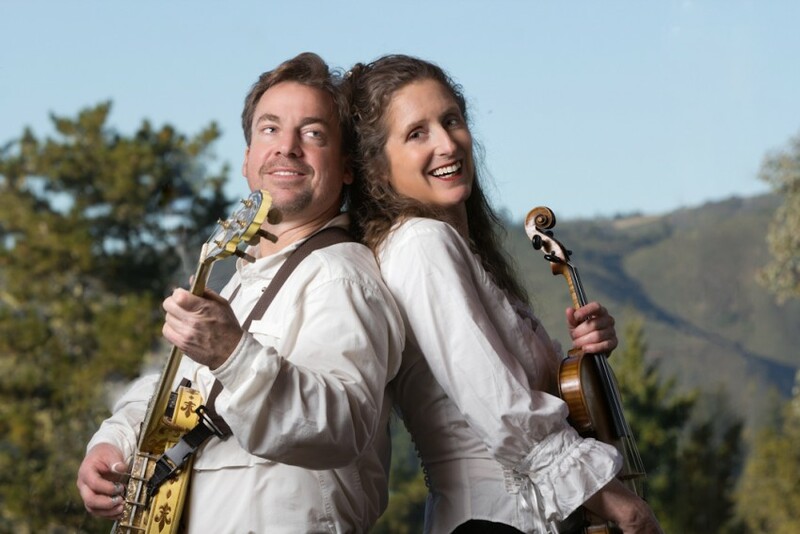 It would be fun to stage a lunch or dinner in the woods, at the park, or on the beach where a duo or trio was staged with instruments to serenade you both. I can do that! Thank you, I enjoyed playing for your grandson's party. Your family and friends are a lot of fun and you are a great host. It was wonderful to see how involved with the children you all are. I appreciate how people requested songs, sang along and even danced! We had an amazing time with Wildcat mountain ramblers. Everything was perfect. Thank you. You created an amazing party and the best part was how adorable your daughter is and how she enjoyed the music. They were fabulous! Loved them. Very personable, great music, wonderful with kids, and easy to work with. Thank you, Anne. The kids were wonderful and we really enjoyed the dance floor in the barn and all the dancers. I hope we get to play for your group again. It would be fun to bring some instruments that the kids good mess around with (like an instrument petting zoo) and let them explore musically. I couldn't have been happier with The Wildcat Mountain Ramblers. My party guests and I really enjoyed their music. I highly recommend them. Thank you, Joe! We had a great time and appreciated your hospitality. These guys were above and beyond what I dreamed. They learned a song for us and played it so perfectly, their harmonies were so beautiful. They were extremely responsive leading up to the big day, friendly and great to work with. Thanks again, I highly recommend you have them at your event!! Thank you for including us in your special day, we were honored to share it with you. We will include that song in future performences and whenever we play it we will remember how beautiful you are and what a joyful gathering it was. I booked the WMR for a wedding in a family-owned San Martin winery. I chose them because I believed they would be able to demonstrate to our international guests a range of lively American music outside of pop/rock, and they delivered. They were busy in the limited time we had before the event, so we could not tune the set list that much, but they delivered admirably within broad parameters (lively for the cocktail, and mellow for dinner). The manager demonstrated cultural sensitivity during our initial conversation about lyrical subjects to avoid. I'd book them again. This band was amazing. They played the songs we requested perfectly. Very sociable and kind people. They had so much in common with my guest that they were able to walk around and socialize with everyone. I am so glad they were available to play at my event. And price was perfect. I will definitely Hire them again for my next big event. 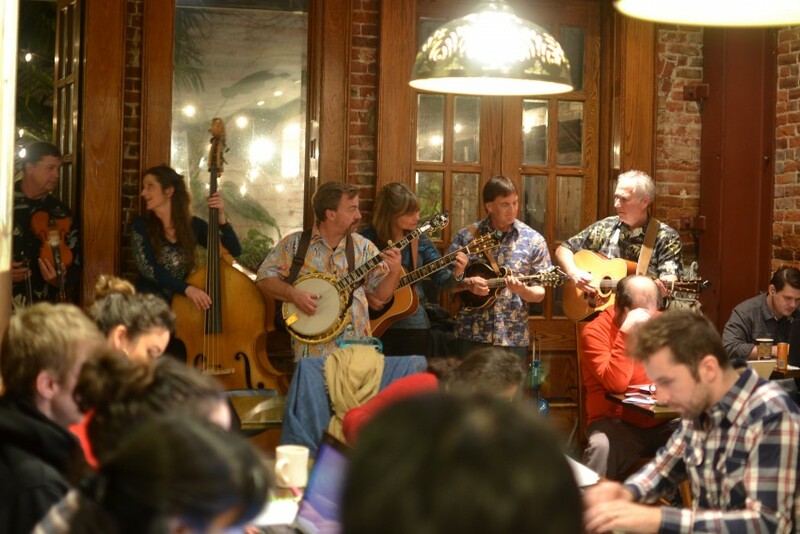 We thoroughly enjoyed having The Wildcat Mountain Ramblers at our event. They kept the crowd entertained and lively. I would highly recommend them for any event you have. They are very flexible and very professional. We will definitely be using them again in the future!!! Thank you, Tierney. We had a great time and look forward to returning to Hahn Winery. It is a beautiful location and your event was fabulous. Your staff was gracious and the guests were engadged and a pleasure to perform for.